The Mediterranean Antiquities Teaching Collection (MATC) will be a joint digital collection, bringing together ancient Mediterranean artifacts held by different departments on the Wellesley College campus, including the Classical Studies Department, Special Collections/LTS, and the Davis Museum. The project is managed by the Digital Scholarship Initiatives (DSI) program, and generous Phase I funding comes from the Wellesley College Friends of the Library and their Innovations in Reading and Scholarship Grant. This collection will ultimately bring together over one thousand objects in one virtual location, accessible by all interested parties, for teaching and research purposes. 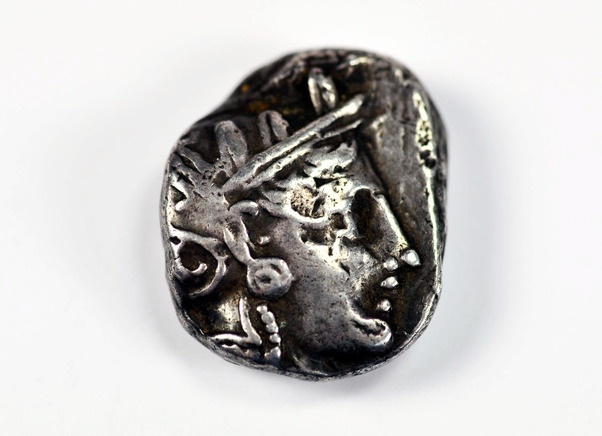 This first phase of the project will focus on digitizing and cataloging a selection of approximately 500 ancient coins and 200 small artifacts. This collection will highlight the unique objects of classical antiquity held by the College and will serve as a teaching resource for faculty and students. The collection will be presented alongside other campus-wide teaching collections in Shared Shelf, and will be able to be harvested for use in Omeka, allowing students to create their own virtual interpretive exhibits.